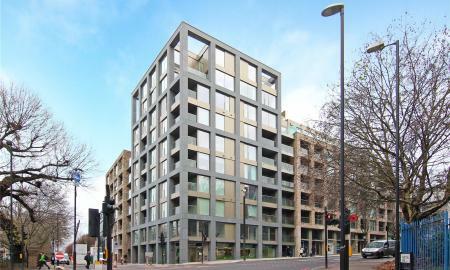 STUNNING BRAND NEW LUXURY APARTMENT CLOSE TO KING CROSS AND ANGEL Outstanding apartment building with gym, porter cinema and swimming pool facilities. Offering a very spacious and stylish interior which comprises of a spacious open plan kitchen, Two large double bedrooms, two luxury bathrooms and ample amounts of storage. The development benefits from 24 concierge, gym, swimming pool and cinema room. 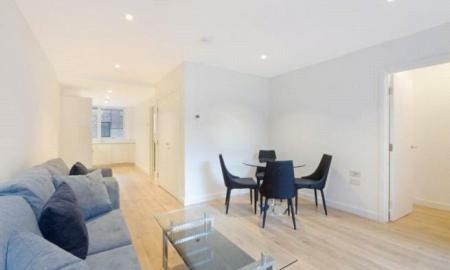 The property is a short walk from kings Cross station and Angel. 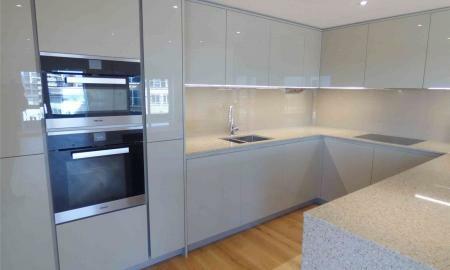 SHORT LET STYLISH COMTEMPORARY LIVING Stunning one bedroom split level apartment in a luxury apartment building close to kings Cross. Accommodation comprises a very spacious open plan kitchen reception area, shower room and stunning spiral staircase leading on to the upper mezzanine bedroom area with fitted wardrobes and a separate bathroom. The apartment has floor to ceiling windows on both levels allowing high levels of natural light. The development benefits from 24 concierge, gym, residents lounge and rooftop terrace. The property is a short walk from kings Cross station. 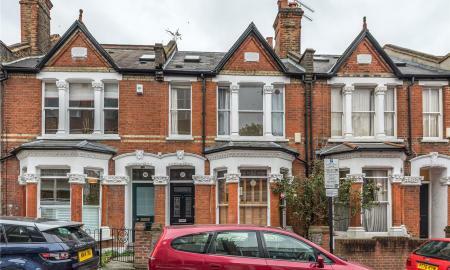 FINE THREE STOREY PERIOD HOUSE CLOSE TO HIGHBURY FIELDS A rare opportunity to rent this truly wonderful family home situated close to Highbury fields and within walking distance to Highbury and Islington tube station. The property retains many period features and offers a wealth of living space. Accommodation is arranged with a modern kitchen with patio doors leading to private decked garden, reception room/dining room, three double bedrooms with two modern bathrooms. 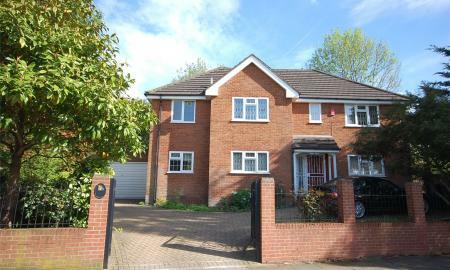 The property would suit a family or a professional couple, to be let for a term of 12 months. Viewing highly recommended. A modern four double bedroom, two bathroom (one en-suite) detached residence, situated in this popular crescent within minutes walking distance of Finchley Central Station and St Mary's Primary School. The property benefits from an L shaped reception room, dining room, guest wc, utility room, modern kitchen and bathrooms, off street parking for three cars and a double garage to the side. Available Now. Unfurnished. To really appreciate the size and location an internal viewing is highly recommended via the Landlords Agent Ellis and Co. Telephone 020 8349 3131. 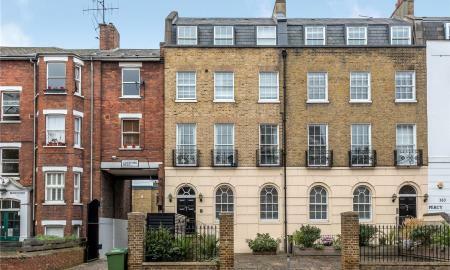 LUXURY TWO BEDROOM APARTMENT IN BARNSBURY Short Let Immaculately presented, bight and spacious two double bedroom raised ground floor flat on Liverpool Road. Accommodation is arranged with a light filled large reception room, separate modern kitchen, family bathroom and two double bedroom with built in storage. The apartment retains original period features and tasteful neutral decor. The property is located within walking distance to the vibrant Upper Street, offering an array of boutiques, restaurants and cafes. Transport link are a short walk and include Angel tube (Northern Line) also Highbury and Islington station (Victoria line and London Overground). 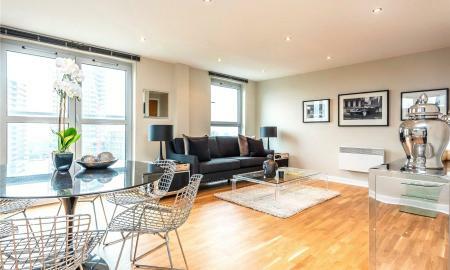 A two bedroom duplex apartment within St. Pancras Place, Located within a short walking distance from Kings Cross and St Pancras station. The lower ground floor of this duplex apartment includes two bedrooms with storage spaces, family bathroom and a private terrace. The ground floor includes a spacious open plan living area, fitted kitchen with integrated appliances, wood flooring and a separate WC. Residents also have access to on-site facilities including a concierge service, gymnasium and cycle storage. The development is located a short distance from Kings Cross St. Pancras station providing Underground, national rail and Eurostar services. 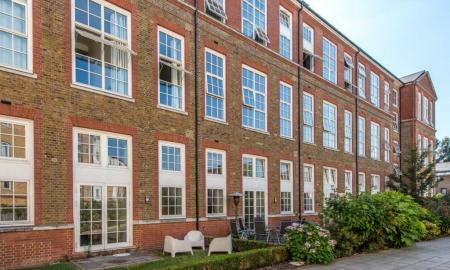 LUXURY THREE DOUBLE BEDROOM APARTMENT WITH PRIVATE BALCONY CLOSE TO HAMPSTEAD HEATH Finished to the highest standard and featuring communal gardens and a private balcony. Accommodation comprises a large reception room with stylish open plan kitchen, three well-proportioned double bedrooms with an en suite to the master and two family bathrooms. Access to Central London is easily available with a short journey on the Jubilee Line or via the London Overground station at Finchley Road & Frognal. all pictures shown are for illustration purpose only. 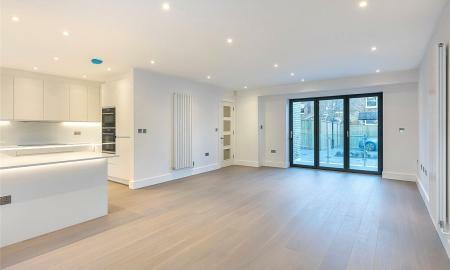 TWO DOUBLE BEDROOM APARTMENT SITUATED ON THE BEAUTIFUL NOEL ROAD. Two double bedrooms, large open planned reception room with kitchen, Large master bedroom which opens out on a deck terrace. The apartment has lots of storage and wooden flooring throughout. Noel Road is situated minutes from Angel Station and very close to Camden Passage and the numerous bars, restaurants and boutiques of Upper Street. 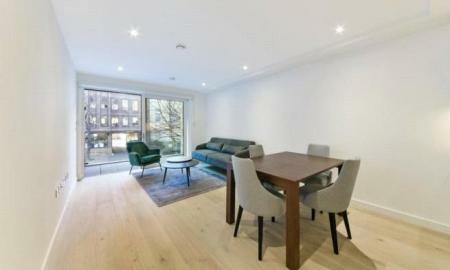 A brand new luxury two bedroom apartment in King&#146;s Cross Quarter located in N1. The apartment comprises two double bedrooms each with large wardrobes, two contemporary bathrooms, large private balcony, fully fitted kitchen with Siemens appliances and wood flooring throughout. Residents benefit from building amenities including 24 Hr Concierge & Spa Gym facilities. 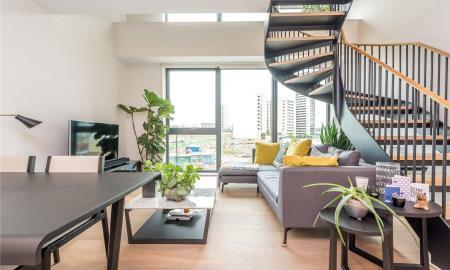 This development is merely half a mile (11mins walk) from Kings Cross St Pancras Station which is serviced by Circle, Hammersmith & City, Metropolitan, Northern, Piccadilly and Victoria Lines; opening up many transport options for commutes around the capital. For example, Bank can be reached in just 18mins. Located in the heart of Kings Cross, this property boasts an outstanding array of local amenities including restaurants, bars and shops. OUTSTANDING THREE BEDROOM MASIONETTE OVERLOOKING ISLINGTON GREEN Immaculately presented three bedroom apartment in the heart of Angel. 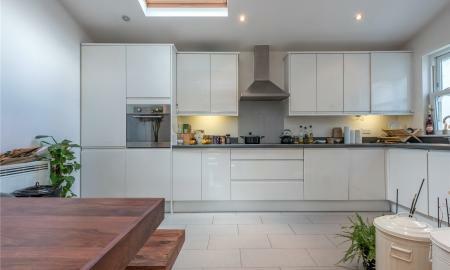 Bright and spacious living space comprises a vast open plan Kitchen reception area on the ground floor. The upper floor contains three bedrooms with an en suite to the master and a family bathroom. Features include a luxury Island kitchen, high ceilings and wood flooring. Islington Green is an unrivalled location, a short walk to Angel tube and close to the famous Camden Passage and the bars boutiques and restaurants of Angel Islington. 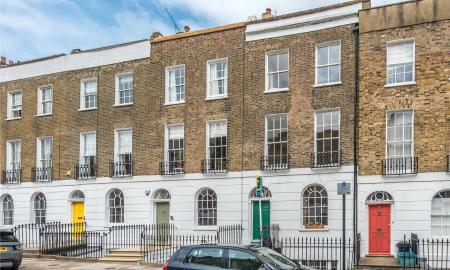 A great opportunity to let this stunning, two bedroom maisonette, set on the upper floors within a Victorian building. The apartment has been tastefully refurbished by the current owner and boasts a host of high spec fixture and fittings with neutral decor throughout. Private entrance, leading upto First floor features Lounge/kitchen with oak flooring, Second floor bedroom and bathroom, Top floor self contained bedroom with En-suite bathroom and direct access to Private Terrace. The apartment is very spacious and and enjoys its own private entrance. Situated in a very central location in Islington, being within walking distance to the Angel tube station, and all of the Upper Streets bars and supermarkets within easy reach. STYLISH COMTEMPORARY LIVING Stunning one bedroom split level apartment in a luxury apartment building close to kings Cross. Accommodation comprises a very spacious open plan kitchen reception area, shower room and stunning spiral staircase leading on to the upper mezzanine bedroom area with fitted wardrobes and a separate bathroom. The apartment has floor to ceiling windows on both levels allowing high levels of natural light. The development benefits from 24 concierge, gym, residents lounge and rooftop terrace. The property is a short walk from kings Cross station. 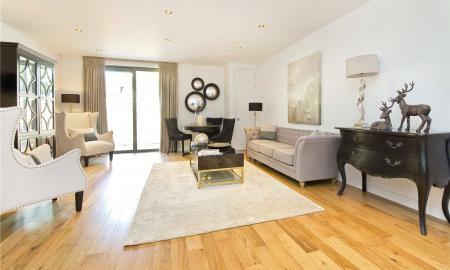 LUXURY TWO BEDROOM APARTMENT WITH STUNNING LONG TERRACE CLOSE TO THE CITY An immaculately presented and finished to a very high standard luxury two bedroom apartment on the fourth floor of this brand new residential development in Islington. This two bedroom/two bathroom apartment offers an abundance of natural light and space and is made of a bright open plan reception room with fully integrated kitchen and doors opening onto a long private terrace with views of the city skyline, a stylish modern bathroom, and two generous double bedrooms(one with en-suite) with ample built in storage. The property benefits from oak flooring with underfloor heating in the reception room and hallway, carpets in both bedrooms and built in speakers for Sonos sound system. 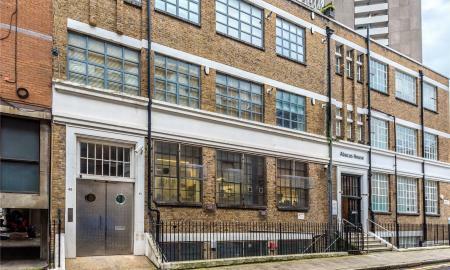 The apartment is on the fourth floor with lift access and is located within walking distance to the City, Old Street station (Northern line) and Angel. Bicycle storage also available within the building. 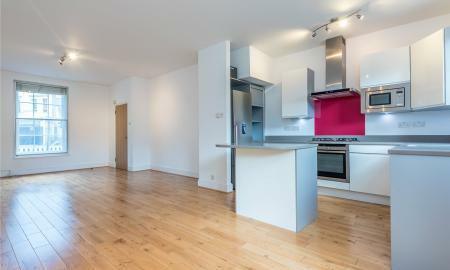 LUXURY TWO BEDROOM APARTMENT IN THE HEART OF CLERENWELL. An immaculately presented and finished to a very high standard, luxury two-bedroom apartment on the First floor of a warehouse conversion. This two bedroom/two bathroom apartment offers an abundance of natural light and space is made of a bright open plan reception room with fully integrated kitchen, two generous double bedrooms (one with en-suite) and a family bathroom. 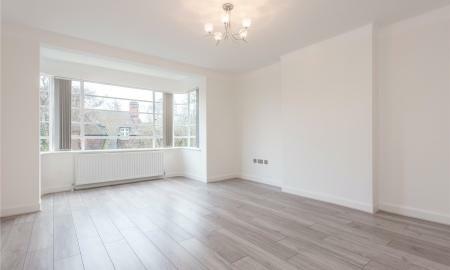 The property is set on the first floor and features wood flooring and has been tastefully decorated to a high standard. Whiskin Street is ideally positioned for Exmouth Market and transport connections include Angel, Farringdon and Barbican Stations. 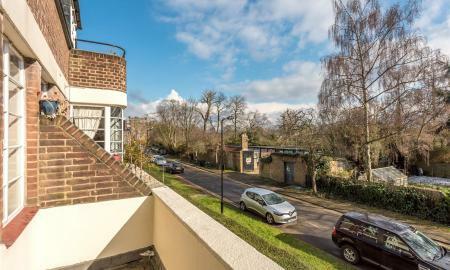 NEWLY REFURBISHED THREE DOUBLE BEDROOM APARTMENT A stunning three bedroom balcony flat in this attractive Art Deco development next to Clissold Park. Living Space comprises a bright and spacious reception room with direct access to a private balcony, three double bedrooms with an en suite to the master and well apportioned fully tiled modern bathroom and a separate kitchen. Additional features include neutral decor and wood flooring throughout. The property has been refurbished to a very high standard. 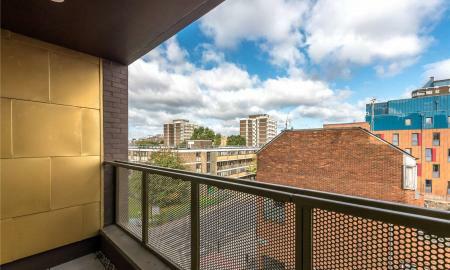 Clissold court in in eyeshot of Clissold Park and is within walking distance to Manor House tube station. Available Now unfurnished. 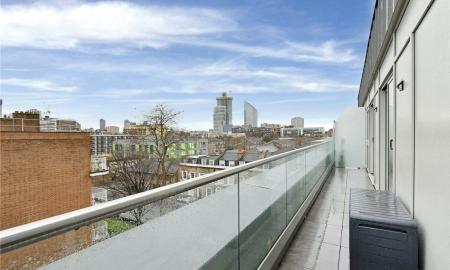 TWO BEDROOM TWO BATHROOM BALCONY APARTMENT Excellent Third floor apartment set in the heart of trendy Hoxton.